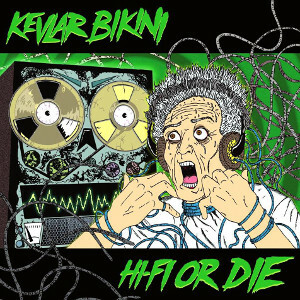 Croatian Punk Rock band KEVLAR BIKINI has released their 2nd album "Hi-Fi Or Die" on vinyl format with an USB stick through OverDub Recordings / Worm Hole Death on November 3rd in Europe and Japan. Following their first album "Explodisiac" (2012), this album also was by as the same team as previous release; mixed by Tomas Skogsberg (Entombed, Refused, Hellacopters, At The Gates, Backyard Babies) and mastered by Pelle Henricsson (Refused, Meshuggah, Poison the Well, In Flame) in Sweden. Their style is combination of rockabilly influences with hard-core, punk and metal, and their live performance has earned them a good reputation for powerful, high energetic and frantic. 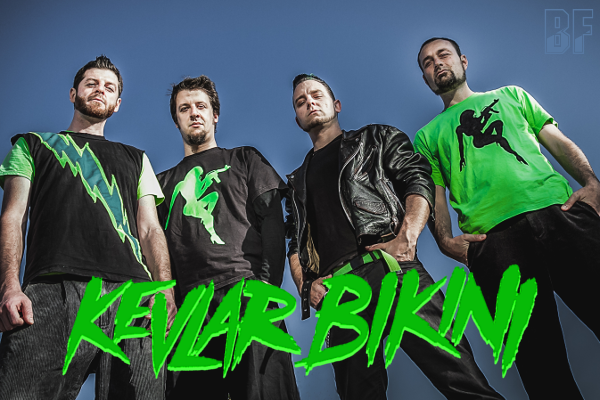 Since forming in 2010 in Zagreb, KEVLAR BIKINI has shared the stage with many great bands such as Peter Pan Speedrock and The Casualties, played at renowned festivals like Punk Rock Holiday, To Be Punk Fest and Jelen Demofest and toured with L.A. based punk band Barb Wire Dolls.